Are you looking for Raccoon Removal in NJ? ALCO Animal & Pest Control offers prompt, professional and safe Raccoon Removal in NJ since 1995 for many satisfied clients. Whether it is residential or commercial Raccoon Removal , ALCO Animal & Pest Control will solve your Raccoon problem in no time. Our trained and experienced Raccoon Removal technicians are qualified to handle a variety of Raccoon situations. ALCO Animal & Pest Control will keep you safe and keep you in line with state and local animal laws. 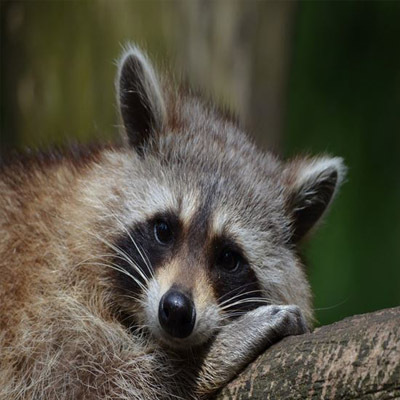 ALCO Animal & Pest Control uses environmentally friendly Raccoon Removal products as well as humane Raccoon Removal methods to keep you and your children safe while performing the Raccoon Removal job. Our knowledgeable pest technician will answer any questions you may have and explain to you every detail you need or want to know about the job. We are always friendly and we are here to help you get rid of Raccoons. Females are looking for nesting places from Mid-March to late May. They love dark, quiet corners in attics, basements and crawl spaces found in houses, sheds, and barns throughout New Jersey. A mother will do anything possible to protect her newborn kits including producing a loud sharp screech followed by bites and scratches to any human or other animal such as a cat or dog who get too close near her nest. This is the most recognized animal in North America and it gets its name from the Indian word "arakun", which means "scratches with its hands." There are three species: The Tres Marias, The Crab-Eating, and The Common Raccoon. This animal is found in throughout North America and is one of the most common wild animals in the United States. Raccoons reside in New Jersey and have distinctive black facial masks and black striped tails. Adults have a whitish grey coat that sometimes turns yellow when shedding. They have short round ears and black eyes. They can grow up to three feet long and some weigh as much as thirty pounds. Raccoons are very good at climbing trees because their its long, sharp claws. Today, this pest is hunted for food and for sport. They have been known to carry roundworm, which is transmitted to humans through ingestion and inhalation of eggs passed in their feces. They can also sometimes carry rabies. While preyed upon by foxes, bobcats, coyotes and owls, the common raccoon is more frequently killed by cars and disease. It can often be rabid without showing any outward symptoms of the viral disease. Due to the public's fascination with this native New Jersey animal, rabies has become an even greater a threat than it was previously. Not only can it carry (and spread) the rabies virus; the female can actually pass the virus to her unborn kits in utero.